Welcome to Crooked House Books & Paper, based in Portland, Oregon. We offer beautiful and unusual books & ephemera from our website, multiple other online venues, local shows and in our showroom. Our specialties include decorative bindings, books by, for and about women, cookery, domestica, literature, and odd & unusual ephemera. We love pop-up books & paper with moving parts, weird instructional pamphlets, miniature books, Modern Library, anything art nouveau or art deco, and the odd & unusual. We are open Wednesday - Saturday from 11 am-5 pm, or by appointment. We also host occasional events. 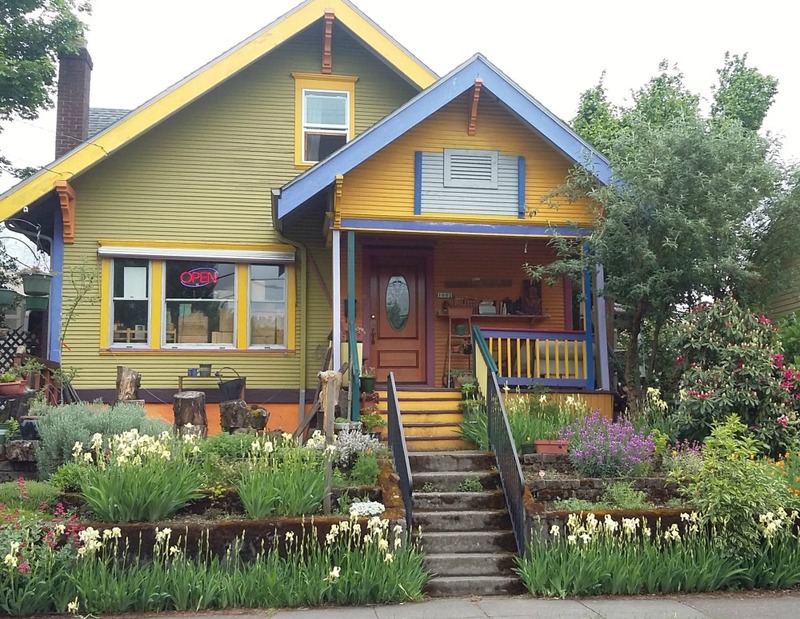 If you would like to visit the Crooked House, please feel free to call us at 503.249.0344, or send us an email at [email protected] to schedule an appointment. You can also reach us through our facebook page. Thanks for stopping by, and we look forward to hearing from you soon. The Crooked House comes by its name naturally. We have plenty of old Portland charm here! 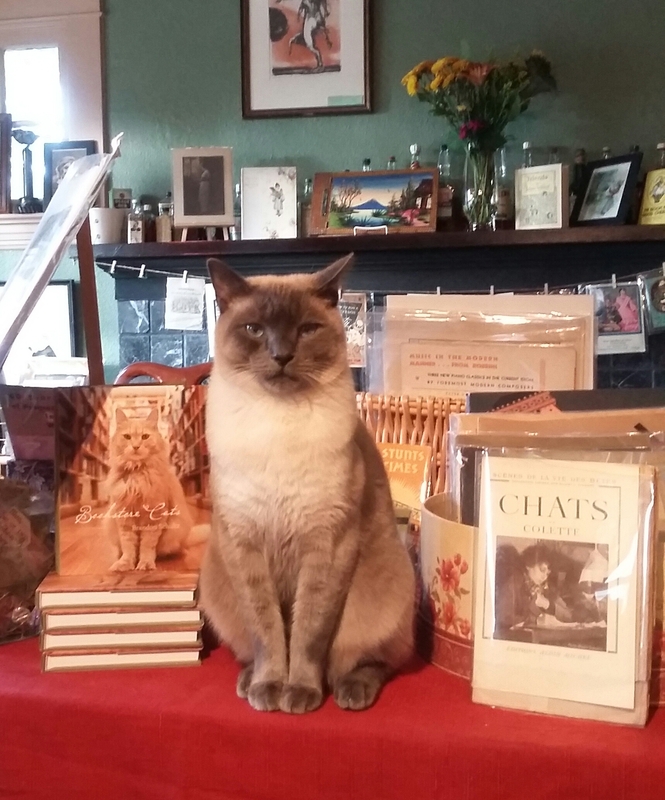 Meet Bruno, who takes his job as bookstore cat seriously.